Offering panoramic views and complete accessibility, uPVC bi-fold doors combine revolutionary door design with sophisticated simplicity. uPVC bi-fold doors, a beautiful alternative to traditional patio doors, are designed to enhance your property and open up your living space. Remarkably attractive, these doors are becoming increasingly popular amongst homeowners for their incredible aesthetics and functionality. A set of uPVC bi-fold doors will make a stunning addition to your modern family home, adding a touch of modern flair and elegance and upgrading your property in minutes. Purchasing your uPVC bi-fold doors with Select Products allows you to benefit from the combination of our top of the range high performance products and our breadth of window installation expertise spanning over 20 years. Select Products provide unparalleled service when it comes to the supply and fit of our uPVC doors. 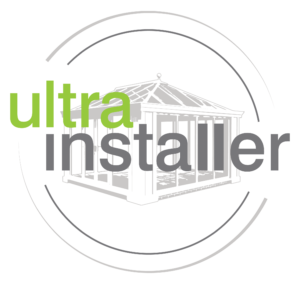 We install to homes across West Yorkshire including Leeds, Harrogate, Wetherby, Otley, Horsforth, Yeadon, Ilkley, Bradford and Pudsey. Choosing a contemporary and stylish home improvement doesn’t have to mean settling in terms of quality. All our state of the art uPVC bi-fold doors employ an innovative and industry-leading internal structural design, allowing them to provide the ultimate in thermal efficiency, durability and security. Combined with our stunning choice of colours and decorative additions, we are confident that we will offer the perfect uPVC bi-fold solution for your home. All of our uPVC bi-fold doors have been cleverly constructed to allow you to maximise the space available in your property. 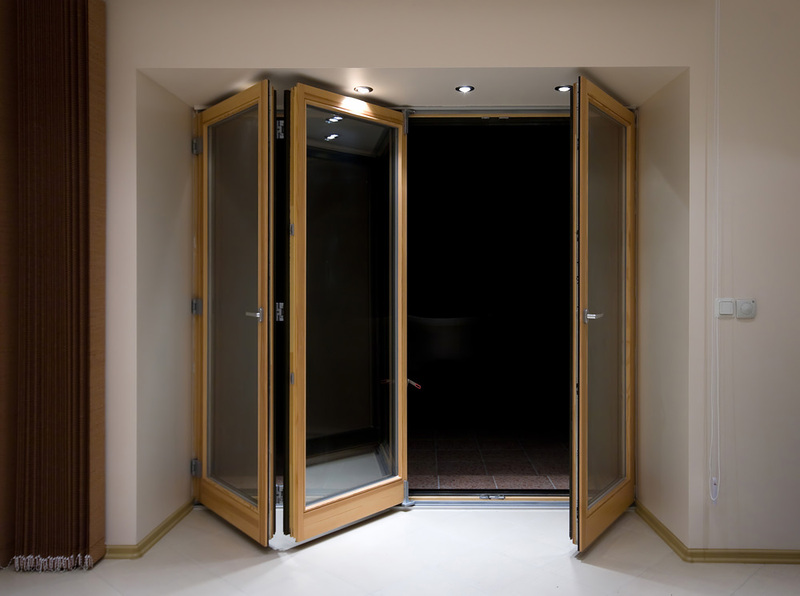 These sliding doors can fold back to just a few inches of opening, giving your home the largest possible area to access your garden and to let natural light to flood into your property. This makes our uPVC bi-fold doors ideal for home owners who may have limited space available but are still looking to make the most of their back gardens. One of the reasons behind uPVC bi-fold doors’ intense popularity is their panoramic viewing capabilities. Our doors are created with the thinnest possible sightlines, allowing us to enlarge the area of glass and providing customers with a sweeping all around picture of their property’s surroundings. Not only is this perfect for houses in areas of natural beauty, it also increases the scope of a room and gives an open and airy feel to even the busiest of spaces. 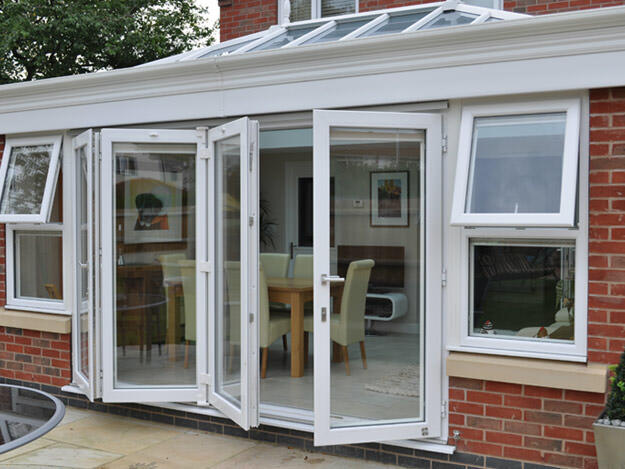 Operating on a smooth glide roller system, our uPVC bi-fold doors are extremely easy to operate and will provide you with a seamless connection between your home and outside space. Our doors can also be fully tailored to your family’s unique requirements, allowing you to choose the fold configuration that enables your uPVC bi-fold doors to fit into your existing property layout effortlessly. The door’s panel number can also be increased or decreased depending on your home’s size and budget. Here at Select Products, we understand that your home is an extension of your personality and that’s why we offer a wealth of options to make your home as unique as you. Our attractive collection comes in a range of colours including Brilliant White, Rosewood and Antique Oak. The customisation doesn’t stop there, and our superior hardware is also available in various shapes and finishes to complement any style of property. Installing your uPVC bi-fold doors with us means you can rest easy knowing your home and family are receiving the highest possible level of protection. All our doors come with the full Yale lock suite as standard and are accredited by Secured by Design. We also offer an extensive 10-year manufacturer-backed guarantee with all our high performance uPVC bi-fold doors, so you can enjoy the added peace of mind knowing that you are always completely covered with us. All of our products are industry-leading when it comes to thermal efficiency. 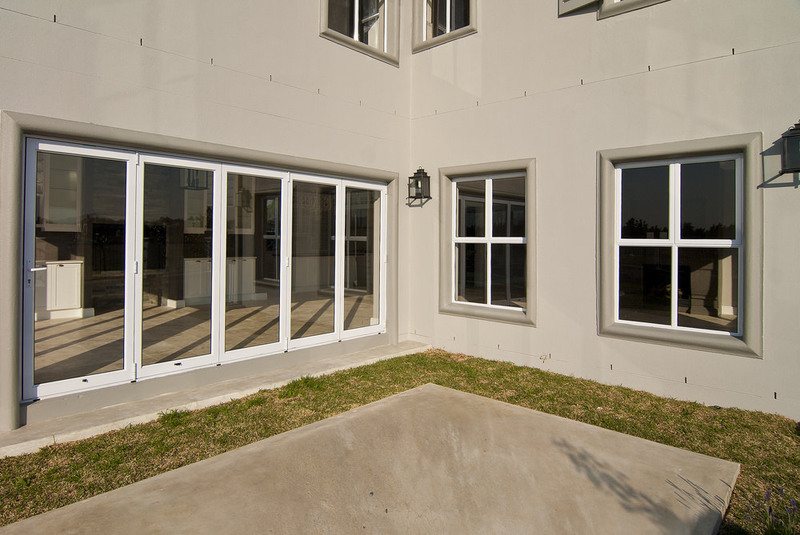 Gone are the days of chilly draughts through your home with our high performance uPVC bi-fold doors. Developed with a cutting-edge internal structural designed to trap pockets of warm air, buying your uPVC bi-fold doors with us increases the insulation power of your property. Not only is this good for the environment but it is also good for your pockets, and you could enjoy a saving on your heating bills in the colder months. Deciding which of our contemporary designs will give your home the best curb-appeal will be the hardest part of your home improvement journey with us. Never worry about time consuming re-painting and re-varnishing again with our highly durable uPVC bi-fold doors. Our spectacularly realistic wood grain finishes allow you to enjoy the traditional timber aesthetic without the upkeep, and all our uPVC bi-fold doors are guaranteed not to warp, twist or rot in the elements. Our commitment to you is that we will always strive to provide the highest quality service to our customers from start to finish. 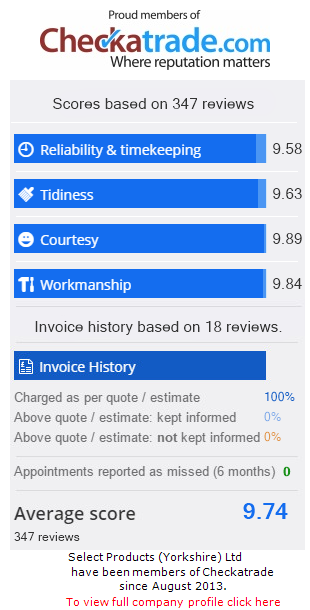 Our friendly team of double glazing professionals are highly trained experts in their field and our years of experience are supported by the wealth of satisfied customers on our Checkatrade profile. Choosing us ensures you get a five-star product in terms of: security, durability, draft exclusion and maintenance costs. 10-year guarantee insurance backed through Home Pro. High security locks fitted as standard. Superior quality products and customer service. Wide range of designs, colours, and wood effects, allowing you to choose a style that best suits your home. Get an instant price for your uPVC bi-fold doors courtesy of our clever online pricing system. Simply enter your double glazing measurements to receive a cost within a matter of minutes – it’s that easy. Browse through our wonderful collection of uPVC bi-fold doors and get instant online prices for your favourite styles. Alternatively, if you would prefer to speak to one of our double-glazing experts directly, you can get in touch via our online contact form or contact us on: 0113 257 8933 and our friendly team will be happy to help with your enquiry. Select Products are a TrustMark and BFRC registered company, so you can be sure that your home is in capable hands with us.